The disc shown is a BlueRay disc. 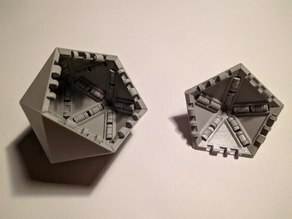 The 20 sides each took about three hours to print. The prints were all made of three and a half days. Scaled to 400% (5.5 inches per triangle side).